The world is a dangerous place. You are always just one wrong step away from bleeding. You could be at home, something slips and suddenly, you’re wondering if you need stitches. 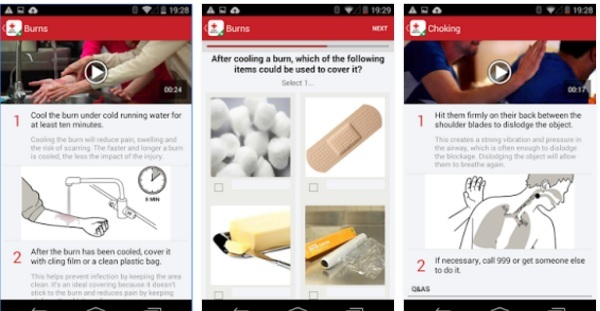 Not to worry, the British Red Cross has your back with their First Aid app. Unless you’ve actually taken first aid, chances are you probably don’t know much about wound care beyond stick a band aid on it or get some ice. You really should take a first aid class but barring that, this free app will help you find the answer to all your boo boo needs. From broken bones to burns, this app wants you to be prepared to treat yourself even if it’s just to buy time until help arrives. It’s sort of like a little first aid book on your phone. It’s all downloaded at once so you don’t need to have active service or internet to access the information once it’s installed which is great, because you never know what situation you might be in when you need to know how to stop the red stuff from flowing. The British Red Cross Frist Aid app is free.